Researchers demystify rare, deadly lymphoma. 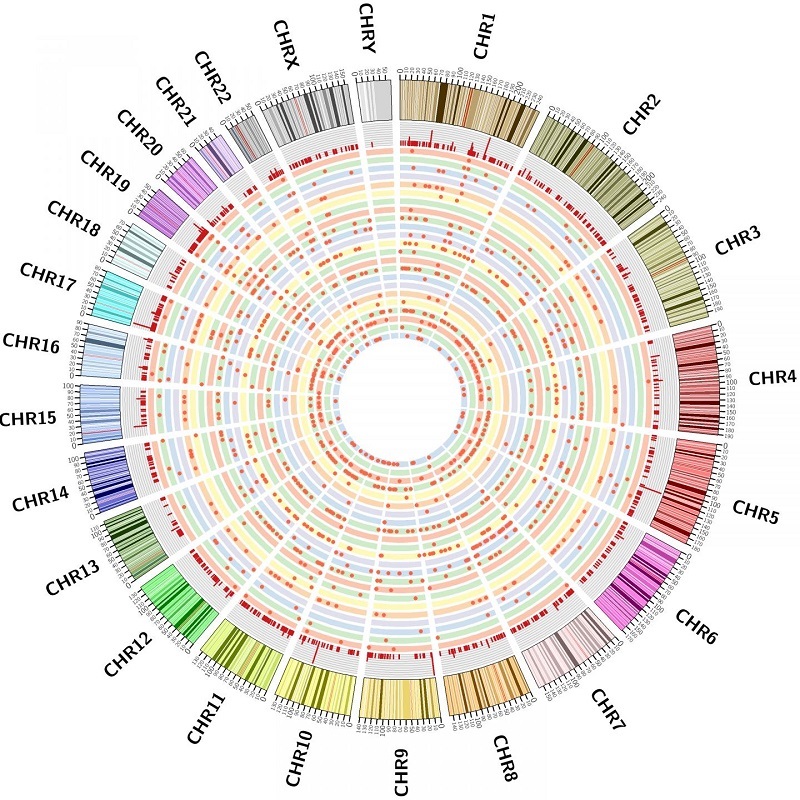 The first-ever systematic study of the genomes of patients with ALK-negative anaplastic large cell lymphoma (ALCL), a particularly aggressive form of non-Hodgkin’s lymphoma, shows that many cases of the disease are driven by alterations in the JAK/STAT3 cell signaling pathway. The new study from Columbia University Medical Center (CUMC) and Weill Cornell Medical College also demonstrates, in mice implanted with human-derived ALCL tumours, that the disease can be inhibited by compounds that target this pathway, raising hopes that more effective treatments might soon be developed. The opensource study is published in the journal Cancer Cell. The team explain that current therapies for this form of lymphoma fail to work in the majority of cases. However, now that the medical community know the mutations that drive a significant percentage of cases, the reseachers envision a new, precision medicine approach to the treatment of ALK-negative ALCL. According the the group about 70,000 cases of non-Hodgkin’s lymphoma (NHL) are diagnosed each year; ALCL accounts for about 3 percent of them. Patients with systemic ALCL (disease that has spread to multiple body sites) fall into two groups, depending on whether their cells express an abnormal form of the ALK (anaplastic lymphoma kinase) protein. ALK-positive lymphomas tend to respond well to chemotherapy, with a long-term disease-free survival rate of more than 70 percent. These lymphomas are known to result from the fusion of two genes, which produces an abnormal protein that activates a third gene, STAT3. Patients with ALK-negative lymphomas have a worse prognosis, with a long-term survival rate of less than 50 percent. Very little is known about the cause of this form of the disease. To learn more about the genetics of ALCL the team sequenced the exomes (the protein-coding portion of the genomes) and the RNA of tumour cells from 155 patients with ALCL and 74 controls (patients with other forms of lymphoma). The team found mutations in either JAK1 or STAT3 in about 20 percent of the 88 patients with ALK-negative ALCL. Of those 20 percent, 38 percent had mutations in both genes. The data findings state that either JAK1or STAT3 mutations can cause abnormal activation of the JAK/STAT3 signaling pathway, which transmits chemical signals from outside the cell to genes in the cell nucleus. Overactivation of this pathway has been implicated in various forms of cancer. The researchers also detected the presence of several novel gene fusions, some of which appear to activate the JAK/STAT3 pathway. Patients with these gene fusions did not have JAK1 or STAT3 mutations, suggesting that the fusions are an independent cause of ALK-negative ALCL. To confirm whether JAK1 and STAT3 mutations can cause ALK-negative ALCL, the researchers induced these mutations in normal human cells. The mutations led to diseased cells. Finally, the researchers tested JAK/STAT3 pathway inhibitors in mice implanted with tumours derived from patients with ALK-negative ALCL. Tumour growth was significantly inhibited, compared with controls. The data findings demonstrated that drugs targeting the JAK/STAT3 pathway offer a viable therapeutic strategy in a subset of patients with ALCL. The team surmise that a couple of JAK/STAT3 inhibitors have been approved by the FDA for the treatment of psoriasis and rheumatoid arthritis, and several more are currently in clinical trials and these could be tested in patients whose genetic profile matches those identified in the current study.